We have wrapped up week five of the Legislative Session, and we now only have nine working days left until we adjourn till next year. We have officially passed a total 171 bills, but by the time we finish the session we will pass somewhere around a total of 500 bills. I invite you to watch our floor debates, tune in to our committee meetings and reach out to me with your thoughts on the bills over the next two weeks. This week we debated the resolution (SCR8 at https://le.utah.gov/~2018/bills/static/SCR008.html) declaring Utah’s support for Congressman Chris Stewart’s effort to create the Escalante Canyons National Park and Preserve and the Grand Staircase, Kaiparowits and Escalante Canyons national monuments. This bill passed the Senate and will be heard in the House next. The executive appropriation committee announced this week that updated revenue estimates show a surplus of $581 million this year, which is almost twice as much as was previously expected. Some of this comes from tax revenues and some comes from budget management. Our budget surplus is nearly $80 million more than we anticipated. As I consider the budget and appropriations, Snow College has been on the forefront of my mind. This great institution is a boon to our region, and we are trying to support its mission and growth as they expand concurrent education to provide kids with education online. The next step in the budgeting process is for the Senate and House majority and minority caucuses to create their own proposals. We will then compare budgets, consider input from the governor and ultimately prepare a final budget to pass on the House and Senate floor. This topic appeared in the Deseret News (https://www.deseretnews.com/article/900010994/utah-lawmakers-now-have-dollar563-million-in-additional-revenues.html) and in Utah Policy (http://utahpolicy.com/index.php/features/today-at-utah-policy/15890-utah-s-budget-surplus-surges-to-more-than-half-a-billion-dollars). Sen. Orrin Hatch has served the State of Utah for over 40 years as a U.S. senator. Now that he is retiring from the U.S. Senate, our State Senate passed a resolution, SCR 13 (https://le.utah.gov/~2018/bills/static/SCR013.html), to honor Sen. Hatch for the good work he has done on behalf of our state. As part of the resolution, Feb. 21 of this year was designated as Orrin Hatch Day. This resolution gave us the chance to visit with Sen. Hatch and honor him for his many years of service to our state. You can listen to the floor discussion and Sen. Hatch’s remarks (https://le.utah.gov/~2018/bills/static/SCR013.html). This topic appeared in the Deseret News (https://www.deseretnews.com/article/900010960/utah-lawmakers-declare-orrin-hatch-day-share-stories-honoring-retiring-senator.html). Thanks for following me along in my legislative journey. I hope to continually keep you informed about my work on the Hill. Likewise, please keep in touch. I’d love to hear your insights and opinions. I can also be reached by email at rokerlund@le.utah.gov. I’m grateful for the opportunity you’ve given me to serve in this capacity. We live in a unique and special place. Thank you for all you do to make Utah the best state in the nation—and thanks for paying attention. A committee of Spring City residents (Spring City Veterans Memorial Association) is working to ensure veterans of Spring City are not forgotten or ignored. With the support of city government, VFW Post 9276, The Friends of Historical Spring City and others, a veterans memorial is being pursued. This effort is modest when compared to many veteran memorials. That is part of the proposed design—an affordable, modular concept not intended to be a final product but a starting point. We plan to honor veterans past and present and plan for inclusion of future veterans. The memorial will represent more than 175 years of military service by residents of Spring City. Spring City is recognized for its rich pioneer history and heritage, primarily through the preservation and restoration of pioneer era buildings and architecture. Great effort has taken place over the last 50 years by individuals and the community to ensure that heritage is not forgotten. One aspect of Spring City’s heritage that began even before settlement and continues today is the heritage of brave men and women who served in the defense of country, state and community through military service. Nearly 500 such individuals have been identified. This heritage of past, present and future has, unfortunately, been mostly ignored. The committee recognizes this effort is no small undertaking. No one entity could accomplish it alone. This will require the cooperation and support of many people and organizations. What we did not expect was that this idea would create some controversy. Perhaps that is why no one has attempted this in the past. The cost is significant, but millions have been spent on historical preservation and recognition. The cost of the memorial is small in comparison. The committee made a commitment to be open and forthcoming about its activities and motivations. There has been extensive review of documents and publications about the history of Spring City veterans. The work of the local and county Daughters of Utah Pioneers (DUP) has been invaluable. Our list of veterans as posted on Facebook is a combination of published lists mostly from DUP sources. One committee goal is to make sure the information engraved on the monument is as accurate as possible. We are gratified by information identifying veterans not in publications. Most of those are veterans of recent conflicts. We will issue updates on the progress of the project in a timely fashion. Many people recognize honoring veterans as a worthwhile idea. We appreciate their support and ask patriotic people everywhere to support the recognition of our veterans. Our freedom and liberty have been and are dependent upon the service of good and honest people. We can and should honor them. “This liberty will look easy by and by when nobody dies to get it” (from George Washington in the play “Valley Forge” by Maxwell Anderson). The most challenging part of this project is funding. The committee is committed to providing an appropriate and quality memorial that will not only honor veterans but also add beauty, value and pride for our community and Sanpete County. Grant applications are in process. However, most require matching funds. Donations for this important work are being accepted. At least $20,000 needs to be raised to provide the matching funds for grants and to begin construction. The committee’s goal is to dedicate the memorial no later than Veterans Day 2018. We ask for your help! Visit our Facebook page for more contact and donation information. Donations will be accepted at any branch of Utah Heritage Credit Union or may be sent to PO Box 126, Spring City UT 84661. We have just concluded week three of the 2018 Legislative General Session, and what a productive week it was! We are nearing the end of our appropriations subcommittees who have taken requests from all the departments and are now taking building-block requests to fund programs not included in the current base budget. We saw some big issues on the Senate floor this week and met with Secretary of the Interior Ryan Zinke about his plans for conservation and energy development. This week we recognized our Senate Art Contest Winners. We received over 300 submissions from high school students around the state for our annual contest. This year’s theme was “The People of Utah.” The top 28 students were recognized on the Senate floor on Monday, Feb. 5, including Jessica Wright from Juab High School and Hannah Ostraff from North Sanpete High School. Their art is hanging in an exhibit outside of the Senate office in the Capitol. Secretary of the Interior—I had the opportunity to meet with Secretary Zinke this week when he came to share his plans to improve conservation and management of public lands. As Secretary of the Interior, he is focused on domestic energy development and reaching a point where the United States can be self-sufficient. He is also working to maintain federal protection of our lands yet allow a greater partnership with the state and the people in the management of the lands. He spoke to Congressman Chris Stewart’s resolution HR4558 for the creation of three smaller monuments and a new national park on the former Grand Staircase Escalante and Bears Ears national monument lands. Secretary Zinke said both he and President Trump are in favor of this resolution. You can read more about his visit (https://www.ksl.com/?sid=46257565&nid=148&title=interior-secretary-zinke-details-reorganization-plans-to-utah-leaders). Budget—In Utah, we are required to pass a balanced budget every year by the end of session. As we’ve seen recently from our federal government, when the legislature doesn’t pass a spending budget, the government shuts down. In Utah, we mitigate the threat of a government shutdown by passing base budgets within the first few weeks of session. By doing this it allows us to have the minimum expenses covered so no one can hijack the budget bill and threaten a government shutdown. Before the end of session, we will pass a more complete budget bill. Olympics—The state is in the process of considering hosting the Winter Olympics again in Salt Lake City. In a recent poll, over 83 percent of Utahns favor the idea. Unlike many former Olympic hosts, most of the facilities in Utah are still in operation. This resolution (SCR9 at https://le.utah.gov/~2018/bills/static/SCR009.html) says, in essence, that Utah is ready, willing and able to host the Olympic games again. This doesn’t guarantee the Olympic committee will choose Salt Lake City, but it will serve as Utah’s official application. Aerial photo of old Gunnison Elementary School shows deteriorating condition of the building and surrounding area. The second week of the 2018 Legislative Session is in the books! We had a busy week getting two bills through committees and one through the Senate floor. We had the opportunity to entertain 180 students from Pahvant Elementary in Richfield. We spoke to and took pictures with them on the steps of the Capitol Building. We were able to greet 27 students from Loa as well. We saw some interesting bills come through the floor, and we passed the base budget. Each state in our nation is permitted to send two statues to reside in the U.S. Capitol. Currently, Utah has statues of Brigham Young, who led the early pioneers to settle in Utah, and Philo T. Farnsworth, who helped further early television technology. SCR 1 (https://le.utah.gov/~2018/bills/sbillint/SCR001.pdf) seeks to bring our statue of Philo back to Utah and to replace him with a statue of Martha Hughes Cannon, the first female in the country to be elected as a state senator. This resolution sparked a lively debate on the Senate floor this week with supporters of the bill donning yellow flowers, a symbol of the early women’s suffrage movement. The debate focused on the positive influence both Philo and Martha have had on Utahns. Ultimately, the resolution passed on the final reading in the senate 21-7. You can watch the floor debate here (https://le.utah.gov/~2018/bills/static/SCR001.html). Philo was a man who created one of the most important inventions of our day and should be honored for that, but the day we voted, my daughter was there. It reminded me that today, my daughters and granddaughters have the opportunity to become legislators, doctors, scientists and leaders of our nation. Dr. Martha Hughes Cannon set the precedent and paved the way for many women to come after her and achieve what once was considered the impossible. For this reason, I am in support of this change, and I hope to see Philo’s statue in the Smithsonian with all of the other great electronic inventors of our day. The Children’s Justice Center program was established in 1994. The goal is to ensure that every child who is a victim of abuse in Utah has access to a safe environment and specialized services. My mission for the past few years has been to extend these services to all counties of Utah so that each child has access to this program. This bill creating a justice center in Juab would complete this 24-year process to provide these Children’s Justice Centers statewide. Friday morning, Feb. 2, we passed SB81 out of the Senate, and it is now headed to the House. SCR8 (https://le.utah.gov/~2018/bills/static/SCR008.html) is a concurrent resolution that we filed in support of HR4558 (https://www.congress.gov/bill/115th-congress/house-bill/4558/text?r=1) that Congressman Chris Stewart has filed in the U.S. House of Representatives. Due to President Trump’s actions in dissolving the previous national monument, HR4558 would create three smaller national monuments and a new national park. We filed SCR8 with the support of the leadership of the Utah House and Senate at the request of both Congressman Stewart and the local county commissioners of both Kane and Garfield counties to show our support of Congressman Stewart’s legislation. The purpose of this bill is multifold. It creates a management committee composed of five local residents, one appointee from the Department of Interior and one at-large appointee. In this way, it allows for the local control of these monuments and park. Along with local control, I believe it will provide more economic development in two years in the national park than has been generated in 20 years in the sprawling national monument. This is something I believe will benefit and preserve our area in many ways. To see this in the news, here’s a link to an article about SCR8 in the Deseret News (https://www.deseretnews.com/article/900009104/utahs-mighty-6-lawmakers-urge-support-for-new-escalante-national-park.html). On Friday, Feb. 2, we passed the base budget. This insulates us from a government shutdown because, if anything were to happen now that prevents us from finishing the session, we have a budget in place and could go home! Over the next two weeks, we will take requests for building blocks in each of the departments of the state. This is where they present programs that aren’t funded by the base budget currently, and then we decide to add them into the final budget using extra funds. Many valuable programs and needs will be presented in these committee hearings. Thus, we will be watching for the needs of public, higher and technical education as we move forward in drafting the final budget. Thanks for following me along in my legislative journey. I hope to continually keep you informed about my work on the Hill. Likewise, please keep in touch. I’d love to hear your insights and opinions. I can also be reached by email at rokerlund@le.utah.gov. I’m grateful for the opportunity you’ve given me to serve in this capacity. We live in a unique and special place. Thank you for all you do to make Utah the best state in the nation, and thanks for paying attention. The acquisition of Norbest by Pitman Family Farms of the San Joaquin Valley in California is great news for Sanpete County. Pitman Family Farms has a good reputation in California. Like Norbest, it prides itself on humane treatment of animals and no antibiotic use. We like the fact that Pitman is family-owned. Historically, our turkey industry has been based on family-owned turkey farms. And the fact that the Pitman family is LDS means it will fit into the local culture. Above all, we appreciate the fact that the Pitmans, like virtually every poultry operation in the country, has surmounted its own business struggles. For more than 20 years, Moroni Feed, later renamed Norbest, has gone through ups and downs with an indomitable will to hang on. In 1995, the company took the deepest dive since its founding in 1938. The 65 grower-owners at the time considered disbanding Moroni Feed. But they decided they had invested too much for too many years to give up. So instead, they hired David Bailey as CEO and charged him with implementing a five-year expansion plan. In 2001, the Salt Lake office of Ernst & Young named Bailey as the Utah Young Entrepreneur of the Year for essentially saving the company. In 2008, the price of corn, the main ingredient in turkey feed, rose to the point where costs of production exceeded the price of turkey. The frustrating thing was that the root of the problem was government action. The federal government started subsidizing production of ethanol. Corn got channeled into ethanol, creating a shortage for other uses. That shortage created the price hike. Moroni Feed implemented a 90-day phased shutdown and temporarily laid off 400 workers. In 2015, facing a need for capital, high demand for turkey and a decline in the number of active turkey growers in the county, Norbest brought in J.S. Heiskell & Co. of Tulare, Calif. and AMERRA Capital Management of Wilmington, N.Y. as external investors. In 2017, the company was apparently facing a financial crisis again. There was talk of bankruptcy and liquidation. That was when a yet-to-be identified figure in the local turkey industry, an anonymous “hero,” stepped in and brokered the sale to Pitman. We say “thank you” to all who have helped keep Moroni Feed and Norbest alive over the years and preserved the hundreds of jobs involved. Now, with the community, we say, “Welcome Pitman Family Farms.” We support you in your goal of making the Sanpete County turkey industry profitable, and we look forward to becoming better acquainted. Direct Action Everywhere (DxE), the animal rights group out of Berkeley, Calif. that claims to have conducted a nine-month investigation of a Moroni turkey farm, has a radical and irrational agenda. It wants everybody, worldwide, to stop eating meat and poultry. The obvious corollary is that it wants all farms and ranches producing livestock and poultry to go out of business. The group’s video, photos and picture of a Norbest inspection report, as well as its disruption of a turkey pardoning event at the Utah State Capitol, should be considered in the context of that agenda. In other words, the group’s supposed expose of the Norbest-affiliated turkey farm should be taken with a grain of salt. Humane treatment of animals is a critical issue. Many groups and individuals, such as the American Society for Prevention of Cruelty to Animals (ASPCA) and locally, the Utah Humane Society, Best Friends and various rescue organizations, make meaningful contributions to animal welfare by identifying and shutting down puppy mills and pet hoarders, rescuing neglected and abused animals, helping with spaying and neutering of pets, and facilitating pet adoptions. Animal welfare groups have helped get tougher laws against animal abuse passed through the Utah Legislature. Under the laws, people can go to jail or prison for callous actions, such as shooting and killing a neighbor’s pet. We support those laws. In agriculture, treatment of livestock and poultry, including humane slaughter of animals, is governed by national and state government standards. USDA and the Utah Department of Agriculture and Food are charged with enforcing the standards. To our knowledge, Norbest, and its predecessor company, Moroni Feed, have typically exceeded the standards. It is in Norbest’s and the turkey growers’ interests to create optimum conditions for the health of their turkeys. We believe 99 percent of the time, they do just that. Apparently, the grower who was the target of the DxE investigation was not in compliance with all Norbest protocols. But Norbest claims it was already on top of the problem. The company says it identified violations in its own routine inspection, ordered the grower to correct the problems, and ended up confiscating the grower’s turkeys—all before the DxE report was released. Even if there were problems in the grower’s operation, may we suggest he deserves assistance and support, not public criticism, from Norbest, fellow growers and the public. There’s nothing more frightening for a turkey grower than a disease getting into one of his sheds. The turkey business is marginal at best. A shed being wiped out can cost a grower $100,000 or more. One can understand the temptation to use antibiotics, even though Norbest policy does not permit them. In an interview with one of the DxE activists, the Messenger asked how the group would propose to replace the jobs and economic benefits of the turkey industry in Sanpete County if Norbest were shut down. His response speaks for itself. He said any money Norbest receives from government subsidization should be redirected to social programs and welfare payments for everyone in the county working in the industry. According to meat industry statistics, Americans consumed 214 pounds of meat and poultry per capita in 2016. Does DxE have a plan to replace that protein source with vegetables? We doubt it. It appears the group’s only strategy is publicity seeking via disruptive and in some cases illegal actions, such as sneaking around a turkey farm to shoot videotape, stealing piglets from a hog farm, and horning in on a governor’s talk to school children. In recent years, several cities in the county have shown a heightened awareness of making sure housing is safe, clean and humane. We’ve also seen some interest, although not yet enough, in cleaning up eyesores. To give a few examples, Manti created the position of Zoning-Animal-Nuisance (ZAN) officer. Ephraim conducted inspections of trailer courts and forced one court to correct life safety hazards in its utility systems. Gunnison purchased a blighted commercial property on Main Street, paid to have the buildings torn down, and is now offering the lot for sale. Mt. Pleasant and Spring City have both upgraded their nuisance ordinances and ordinance enforcement. Now it’s gratifying to see Sanpete County developing ordinances to stop people from getting around building-code requirements by claiming structures being lived in are agricultural outbuildings. While we don’t know of specific incidents, without a tight definition of what kind of structure can be used for housing, there is the potential of barns, storage buildings and turkey sheds being converted into housing for immigrant farm workers. The county zoning administrator is trying to establish that if a structure is going to be used for housing, it has to meet all building codes and zoning requirements. 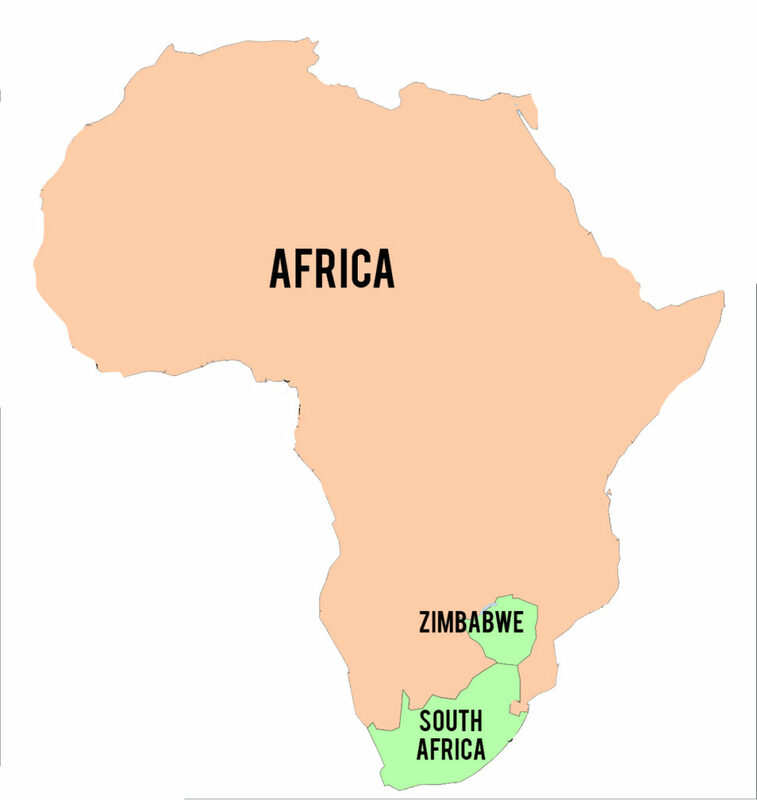 That includes adequate land around the structure, road access, power, water and sewage disposal. It doesn’t matter if the human occupancy is just a few weeks per year. we can’t permit unsafe housing because the site is “recreational” property and structure is or is tantamount to a “cabin.” Housing is housing, and it needs to meet code. In accordance with existing ordinances, a fifth wheel or RV trailer needs to be used for time-limited camping, not as a permanent dwelling. After the legal camping time expires, the unit needs to be vacated and/or moved. We live in a beautiful valley. But county government has not begun to address rural blight from abandoned turkey sheds, barns that are falling down, rusted equipment and junk cars that are strewn over hundreds, if not thousands, of acres of unincorporated land. One of the reasons for the blight is that owners know they can get away with the mess. The zoning administrator, and the Sanpete County Planning and Zoning Commission, are taking the first step to changing things by developing ordinances to address improper behavior. The next step is for the county commission to adopt the ordinances. After that comes the challenge of figuring out how to finance enforcement. Taking such steps is not infriging on anybody’s rights. It’s protecting the human rights of everybody to live in safe, decent quarters, as well as our rights as a community to enjoy the beauty of our county free of irresponsible eyesores. Annexation can be a good thing. In fact, if a city wants to control the environment in which its citizens live, and to chart the location of future growth, timely annexations are essential. In that vein, Moroni City, taking one step at a time, should annex Sanpete Steel, the residential neighborhood north of North Sanpete Middle School, the school itself, and ultimately, the Norbest plant. What is a city anyway? It’s a concentration of homes and businesses, with a municipal government that provides water, sewer, parks, police and other services. Besides providing services, municipal governments, through planning and zoning, regulate land use so everyone in the community can enjoy peace, safety and a good environment. There’s one other dimension: Homes and businesses share in the costs of city services and city government by paying property taxes, sales taxes and user fees. In Moroni, the city boundary runs through the middle of the Sanpete Steel property. The steel plant already gets water and sewer from the city. The split jurisdiction means if the company expands, as it plans to, it could be subject to two sets of development regulations, one city and one county, and could be required to deal with two separate planning commissions. That doesn’t make sense. Likewise, the subdivision that extends to the east of the city gets water, and many of the homes get sewer services from the city. Certainly, residents of the subdivision use city streets and parks. And if they call the police, a Moroni City officer is likely to respond. The development is urban in character, the kind of landscape a municipality, not a county government, is set up to regulate. 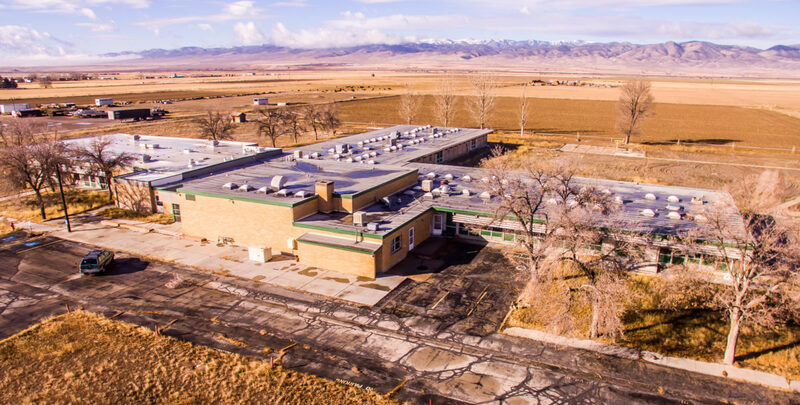 If Sanpete Steel and the residential area were annexed, North Sanpete Middle School, which right now is in the county, but which also receives utilities from the city, would be almost surrounded by city land. Again, that doesn’t make sense. And it’s against state law. The law says you can’t have unincorporated “islands” or “peninsulas” within cities. The school needs to come into Moroni City. Norbest—including the processing plant, feed mill, corporate headquarters, hardware store, factory store, and yes, the waste lagoon—is a much bigger elephant to swallow. But the principle is the same. The plant is adjacent to the city. A facility of Norbest’s type and scale will inevitably have impacts on nearby property; in other words, on residents of Moroni. It makes sense for the city, not a fairly distant county government in Manti, to have jurisdiction. If Moroni City annexed Norbest, it would be legally responsible for providing water to the plant, something it is not in position to do. Norbest supplies its water from its own wells and uses much more water than all of Moroni City. But surely a solution could be negotiated that would benefit both parties, such as the city buying the wells, or the plant agreeing to forego municipal water in return for certain tax breaks. Getting back to finances, it’s difficult for a city to cover its costs from residential property taxes alone. It needs businesses and industries, which are taxed at a higher rate than homes, to bring in larger volumes of revenue. And it needs sales tax. For the social, economic and aesthetic future of the city, Moroni needs to annex properties that abut its boundaries, are built up, and are best governed by a city rather than the county. Nothing anyone could have done would have prevented Gary Danner of Fairview from dying in his mobile home when a fire started near his oxygen machine last week. With an oxygen tank as an accelerant, the same fire in the most expensive custom home in the county undoubtedly would have produced the same result. Nonetheless, the shoddy condition of the court where Danner’s trailer was located and the tight spacing of trailers in the park, which contributed to fire spreading to the next unit, put the focus, once again, on the unacceptable condition of trailer “parks” and “courts” around the county. A little more than a year ago, there was a similar situation at the trailer park on Main Street in Ephraim. A fire started on the porch of one trailer and quickly spread to the trailer next door. Both units were destroyed. We don’t have all the answers. We just know that some leadership, some public-private cooperation, and possibly involvement by the Utah Legislature is needed to address ratty trailer parks throughout rural Utah. There are about a dozen such parks in Sanpete County. Unlike many lovely parks on the Wasatch Front, the parks do not have interior roads. They do not have sidewalks. There is no designated parking for vehicles. There is scant to no landscaped open space. So what do our local parks have? As described above, most are overcrowded. Many units in the parks, perhaps the majority, were manufactured prior to 1976 when Congress raised the standard for mobile homes. These pre-1976 units have little to no insulation, thin roofs, thin walls, poor windows and inefficient heating systems. Often they are not airtight or watertight. Throughout our local parks are trailers with plywood add-ons that violate building and safety codes. Many of the parks permit travel trailers, like Mr. Danner’s trailer, which are not designed to be lived in long-term. To our knowledge, Ephraim is the only municipality in the county that has done a thorough inspection of trailer parks within its boundaries. We suspect if all municipalities, as a first step, had building professionals do thorough inspections of their parks, they would find, as Ephraim did, many code violations related to the water, sewer and power systems, and many improperly stored propane tanks. And everywhere, in all the parks we’ve seen, there is junk, junk, junk. It all adds up to dismal living environments. The environments border on the inhumane. They need to be fixed. Ephraim is a model for the county in that it took the first step by inspecting its parks. Then, by threatening to close the DJ park, it forced the owner to fix life-safety issues related to water, sewer and power. But when it came to full enforcement of all codes at all parks, it appears to us that Ephraim has backed off. Our dream would be to see private enterprise, or a nonprofit organization, with government help, start buying up parks; relocating the residents temporarily; scraping the developments; creating interior roads, sidewalks and open spaces; installing trailers meeting current standards; and then moving residents back with opportunities to purchase the new units. Too ambitious, you say. Okay, what’s the alternative? The only alternative we see is the status quo. And as we’ve explained here, the status quo is unacceptable. That was on Sept. 18. Within the same week, the congressman tweeted statements displaying the kind of mean-spiritedness that has been shown to contribute to many decisions to commit suicide. On Sept. 14, Stewart tweeted about Harvard’s decision to name Chelsea Manning a Harvard fellow. Manning is the transgendered former Army intelligence analyst who, in 2010, leaked military and diplomatic records to Wikileaks. She pleaded guilty to several charges but was acquitted on the most serious charge of aiding the enemy. She maintained her leak was an act of conscience. Stewart deleted the latter tweet after one hour but not before it had been archived by ProPublica. It’s unclear what he found inappropriate about the tweet: Its mockery of liberals or the fact that it referenced urination. Likewise, it is possible to express opposition in public policy matters without self-righteous condescension. The tone, not necessarily the content, of Stewart’s tweet regarding opposition responses to Trump’s U.N. speech is distressing. Which way do you want them turning, Rep. Stewart? Utah is on track to have the worst year for youth suicides in history. Cyberbullying is frequently a factor in such deaths. The cyberbullying phenomenon is not surprising in the era of a Bully in Chief. We are experiencing what has become an unfortunate staple in our political and social discourse: Trickle-down rudeness. In fact, we ask everyone to tone done down their rhetoric, especially in the relative insulation of the online world. To paraphrase one of the oldest rules of civility: Tweet unto others the way you would want to be tweeted. The Utah State Office of Education (USOE) and our local school districts go to exceptional lengths to make sure school buses and school bus drivers are safe. The rest is up to us as drivers and parents. The efforts of the school system start at the top. Every year before school starts, the USOE puts on a two-and-a-half day training for the school bus coordinators in Utah’s 41 school districts. The goal is to prepare them to train the drivers in their local districts. Considering that school bus driver is a part-time job with no benefits, the qualifications and training requirements are pretty stringent. Candidates must first qualify for a Utah commercial driver’s license. Then they have to take 7-8 hours of classroom training and 12 hours of observed training behind the wheel of a bus to become certified as school bus drivers. Every five years, school bus drivers must recertify by completing the same requirements all over again. Before school each year, local districts put all drivers through another 8 hours of training, and at mid year, 6 more hours. And all drivers are subject to random drug testing. 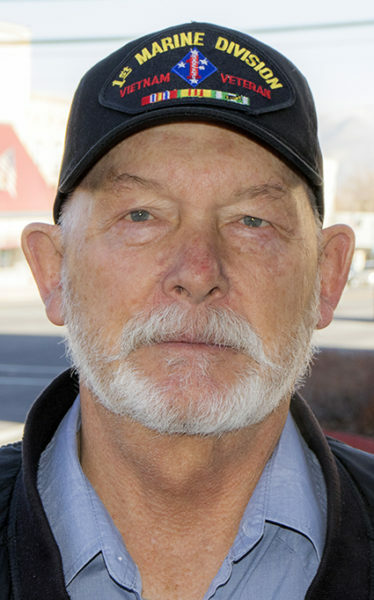 Ralph Squire, who besides being assistant superintendent, is the school bus coordinator in the South Sanpete School District, says lots of people inquire about driving school buses but only about one in 10 is willing to go through the process to become a driver. But even if drivers are qualified, trained and monitored, they don’t have control of everything that happens outside their buses. That’s were we come in. As a school bus approaches a stop, the driver turns on flashing yellow lights. That makes the area around the bus a school zone with a speed limit of 20 miles per hour. As soon as the driver opens the door of the bus, alternating red lights go on at the front and rear of the bus and stop arms come out from the side. That means traffic in all directions must stop in place, just as if a crossing guard or stop light were present. Every driver should know that. But many don’t stop. Officials have estimated there are 1,500 stop-arm violations per year in Utah. Another scary problem is ATVs driving along borrow pits on our rural roads. Drivers may not see stop arms because those may be on the other side of the bus. But if red lights are flashing, four-wheelers need to stop before reaching the bus. The school bus coordinator in North Sanpete tells the story of one of his drivers grabbing a child by the backpack and pulling him back into the bus just as an ATV went whizzing past. 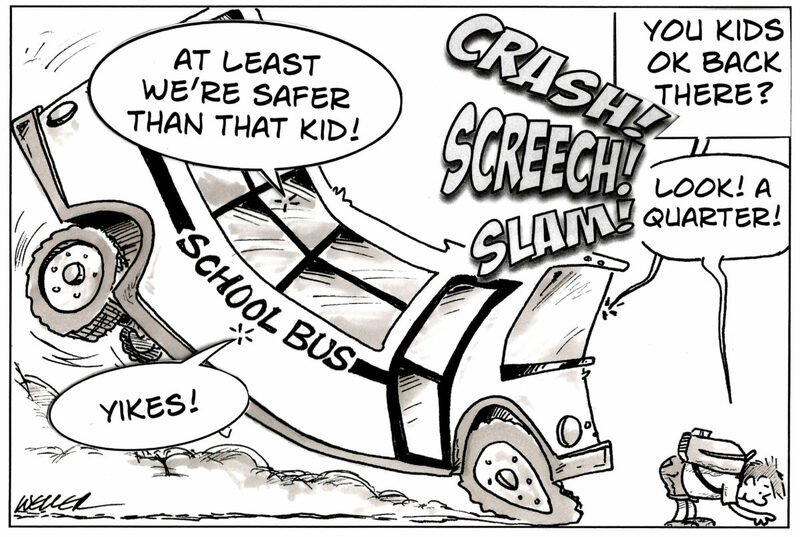 Finally, Squire emphasizes, rushing to catch the school bus, especially in the morning, can be a dangerous thing. In the winter, a student might slip and fall in the road or even in front of the bus. Depending on the child’s position, it might be impossible for drivers of cars or the school bus driver to see him or her, and the child could be vulnerable to getting run over. Sometimes, because a child is late, the parent drives him or her to the bus stop, drives through the stop arm, and lets the child off right at the front of the bus. The child runs in front of the bus to get to the door. If timing is wrong, the child might bolt in front of the bus just as it starts pulling forward. Squire advises families to make sure children are standing at the bus stop 5 minutes before the bus pulls up so they can join their friends in filing in an orderly line into the bus. If your child won’t be able to make it to the stop before the bus does, drive him or her to school yourself. Although there have been some close calls, Sanpete County has made it for many years without a school bus accident. Let’s keep it that way. Being a lawyer is not the sole or even the most important qualification for being a justice court judge. The Messenger believes character, intellectual competence and community connection are also important requirements. But we don’t only ask panels that will select judge nominees, and city councils who will make the ultimate appointments, to consider those qualifications. We also call on residents who, but for the lack of formal legal training, would be inclined to apply for judgeships. Gunnison, Manti, Mt. Pleasant, Ephraim and Moroni are all filling the vacancies created by the retirement of Judge Ivo Peterson, who for years sat on the justice-court benches of all those cities. His retirement also left open the judgeships in Fairview, Fountain Green and Spring City, and those municipalities have all selected Richfield-based attorney Mark McIff to fill those seats. We urge McIff, and cities still selecting judges, not to follow Peterson’s pattern of making municipal justice courts essentially a full-time job. This is not because of anything we have against either McIff or Peterson. Rather, it grows out of certain values and that we believe are shared by most people in Sanpete County. We do, however, urge officials to use Peterson as an example of a non-lawyer judge, and to strongly consider non-lawyers as city-court judges. Another reason for having local judges in each city is to help ensure that they preside in person over their courts, rather than by Skype or videoconference as has sadly become more common. How can we expect defendants and plaintiffs to respect our courts if judges themselves don’t consider court important enough to be there in person? There are justifiable exceptions to this, such as a proceeding that involves only attorneys. Otherwise, judges should be at all hearings where defendants are required to make personal appearances. Some would say that law-trained judges are necessary to preserve constitutional rights of due process. The question has some history in case law, and courts have generally held that due process is not violated simply because a judge is not a member of the bar. Judgeship nominees must demonstrate the intellectual ability to grasp the logic of legal arguments. But let’s face it, in a justice court, we don’t need a judge to plumb the legal depths. Some will also say that a non-lawyer can’t appropriately apply the law. But we find that application of the law is more a matter of logic and character than of knowledge of the law itself. In other words, we want judges who can ably review the law, rather than ones who could be editor of the Harvard Law Review. It is difficult to conceive of anything like that happening in Sanpete County. But instances like those have more to do with character, and almost nothing at all to do with legal knowledge. We’re only Sanpete, and these are only city justice courts. We need judges who look like Sanpete, understand our culture and geography, are competent in their chosen undertakings and have deep connections to their communities. For more than a year, the Sanpete County Planning and Zoning Commission has been grappling with what to permit in the buffer zones around many of the 13 municipalities in the county. 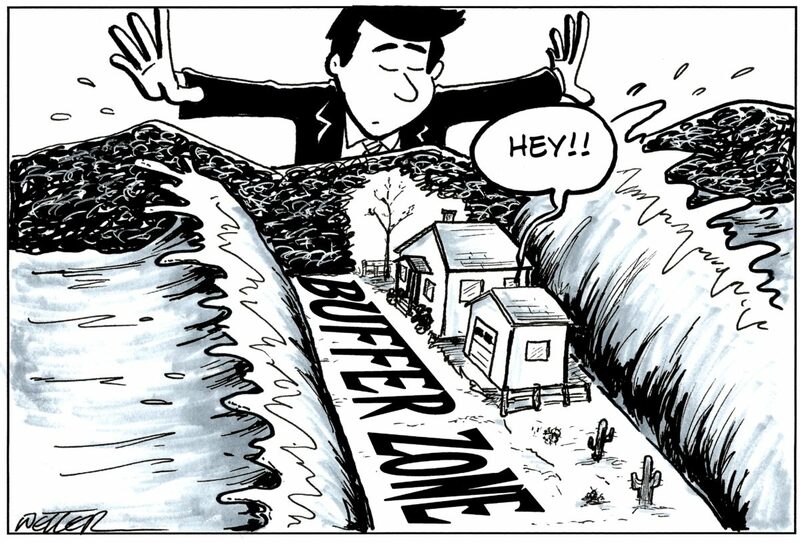 Buttressed by some unhappy experiences, the planning commission has concluded that a lot more language needs to be written and added to the county zoning ordinance, starting with defining what a buffer zone is, and from there, stating what is allowed in each buffer city buffer zone. In other words, the time has come for much tighter coordinating between city planning commissions and the county planning commission in approving homes, subdivisions and even things like billboards in the buffer zones. We agree. If cities, city planning commissions, the county and the county planning commission don’t get on the same page, we’re going to have some awful messes in our county. In fact, we already have such a mess west of Manti. But to understand what is going on, we need to take a step back. In 2002, Bruce Blackham, then a county commissioner, led a project to rewrite Sanpete County’s zoning ordinance. County commissioners and citizens advising on the rewrite agreed that the county should try to push housing development into, or at least in the direction of, the 13 municipalities in the county. The goal was to avoid a hopscotch pattern of housing developments dotting expanses of agricultural land. By doing so, conflicts between residential and agricultural uses would be avoided, which would help preserve agriculture. But how do you put such a concept into action? The answer was buffer zones. The county would invite each of its 13 municipalities to define an area extending up to a half mile out from its boundaries. Once the town approved a buffer zone, the zone would go on the county zoning maps. The most common zone throughout the unincorporated county is A-1, an agricultural zone permitting one housing unit on a maximum of five acres. But under the 2002 zoning rewrite, land in buffer zones was zoned RA-1 (for residential-agriculture). That zone permits one home per half acre. 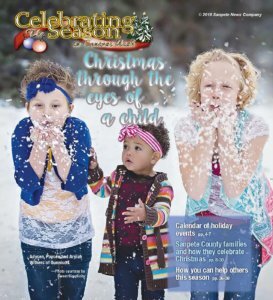 Meanwhile, the county subdivision ordinance says that someone can subdivide land into four lots, creating a so-called “minor subdivision,” without putting in paved streets, curbs, gutters, sewers, etc.—the types of improvements required in subdivision ordinances in nearly all our Sanpete cities. There was one more provision of the zoning rewrite: If someone proposed a development in a buffer zone, the county would refer the application to the city involved. If the city chose, it could annex the land, which would mean development would proceed under city ordinances. If the city chose not the annex, development would proceed under more lenient county rules. So what has happened? For starters, telling cities if they want to have a say in what happens just outside their boundaries they need to annex the land has not worked. As a big annexation in Ephraim last year demonstrated, annexation is a complicated and expensive process that takes about a year. There’s no way a city can respond to every development application in its buffer zone by trying to annex the property. Rather, development has proceeded under the county zoning ordinance. In a number of cases, the county planning commission has not been comfortable with what a developer was proposing. But it has been forced to go by the laws on the county books and approve the project. Take the Manti example. A developer came to county planning and got approval for a minor subdivision in the Manti buffer zone. Then somebody else came in and got another minor subdivision approved next to the first one. Then a third minor subdivision went in nearby. One of the minor subdivisions had one lot that was pretty large. So someone came to county planning and applied to take the lot, which, mind you, was inside a previous minor subdivision, and subdivide it. The net result is what is essentially a city neighborhood. Yet there has been no coordination of roads. A city road is paved up to the city boundary. From there, there’s a gravel road running past the entrances to a couple of the subdivisions. Branching off the gravel road is another gravel road with several houses along it. In fact, it terminates in a cul-de-sac. But the cul-de-sac road has been declared private. Across the street to the north from where the gravel road starts is other developable property. It would make sense to plan for an extension of the gravel road into the new area. But that can’t happen. There’s a house in the way. Meanwhile, someone is putting in a home lot on different property very close to the cul-de-sac. That second developer is running a paved street to his lot. But the paved street can’t connect to the subdivision served by the cul-de-sac vision. Why? Because the other subdivision road is private. Meanwhile, traffic from all of the minor subdivisions in that part of the Manti buffer zone is flowing onto the Manti City paved road and using it to reach U.S. 89. To start taking steps to prevent such situations, the county planning commission has asked every city to provide some information. Specifically, the county has asked cities what zoning they would like in their buffer zones, for their future annexation plans (those are required by state law anyway), and for road development plans. The materials would be the basis for new ordinance language regulating what goes on in the various buffer zones. The information was due April 1. So far only two cities—Manti and Ephraim—have submitted anything. The 11 other cities in Sanpete County need to get on the stick. City-county coordination of development in buffer zones probably looks like a daunting task. But over time, with jurisdictions working together, it can be done. It has to be done.